California does not hold two separate party candidates in its elections. Those who get the most votes in an open primary election get to run against each other. 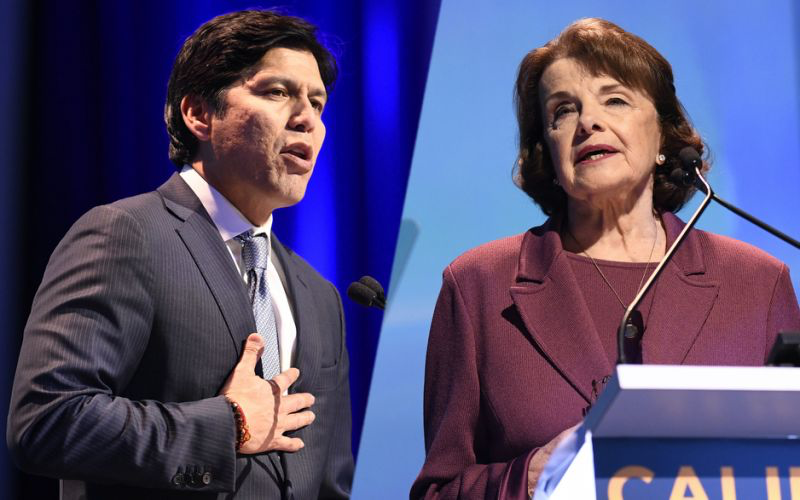 So the final election had Senator Dianne Feinstein and former state legislator Kevin De Leon pitted against each other. In the end, Feinstein won a fifth term in the U.S Senate. She beat Kevin de León with a 54.3 percent majority. Senator Feinstein was first elected to the Senate in 1992. Feinstein is expected to remain the senior Democrat on the Senate Judiciary Committee and a leading Democrat party voice in a Republican-dominated Senate. She showed that voice this fall in her fight against the nomination of Brett Kavanaugh to the U.S. Supreme Court. Feinstein’s victory comes after losing the California Democratic Party’s endorsement to challenger de León. He had argued California needed a more progressive voice in the Senate. He tried to align himself with the new, more progressive wave of the democrat party. Senator Feinstein successfully countered de León’s attempts by focusing on her experience and ability to get things done through compromise.